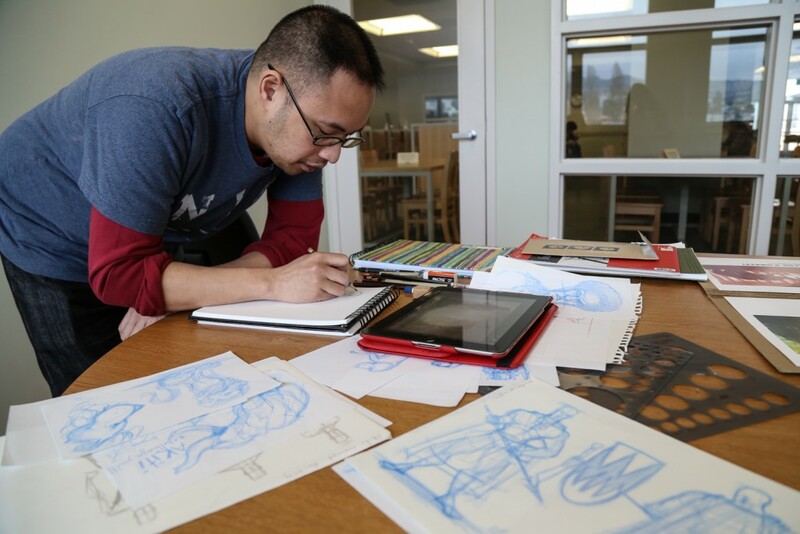 There are a few pitfalls to being talented and creative, and City College student Anthony Mata, who illustrated the recently released children’s book “Akiti the Hunter”, is well versed with the problems that can arise for an up and coming artist. Having so many potential clients end up being listless in the end can be disheartening for Mata. When he received a message on Instagram from someone saying that they liked his art work and wanted to hire him to do a children’s book he all the right to be skeptical at first. 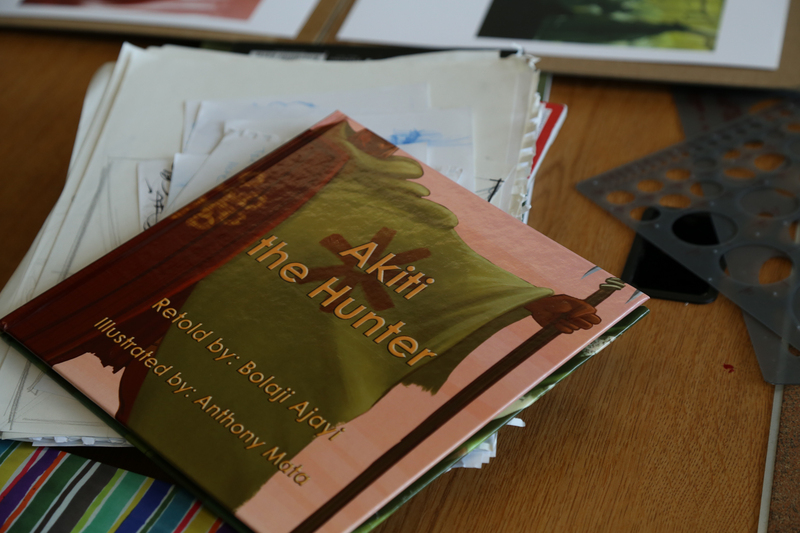 Bolaji Ajayi, a Bay Area resident, who, after seeing Mata’s work online decided that he would be the perfect person to illustrate her story, “Akiti the Hunter” which is based on many Nigerian folktales. After talking with her a few times Mata could tell that Ajayi was serious. Mata and Ajayi worked together on the project from March until October 2014. It was their first time creating a children’s book, despite this they had excellent rapport. “I like working with clients like Bolaji, who are deliberate about their project all the way through. She was the perfect client,” Mata said. The main character in the book is Akiti, and Ajayi portrayed him in the classic hero archetype to make the character more attractive for young children. This detail caused Mata to envision how the main character Akiti would look on the page. Illustrating the book was very rewarding work for Mata. Another benefit is the change of pace and the more lighthearted content matter. With Mata’s recent work on “Akiti the Hunter” he hopes to find more work in the field of children’s books, or in comic books. “Hopefully this leads to more people who are serious about their work contacting me,” said Mata.